Much has changed in the 21st century since 1934 when Joseph Pilates wrote his first book, Your Health, about fitness and health. In 1945, he followed up that first expression of fitness theories and principles with his detailed and definitive book of exercises, Return to Life through Contrology. Both of these original books were copyrighted and republished by Presentation Dynamics in 2000 in the book Pilates Primer: The Millennium Edition. 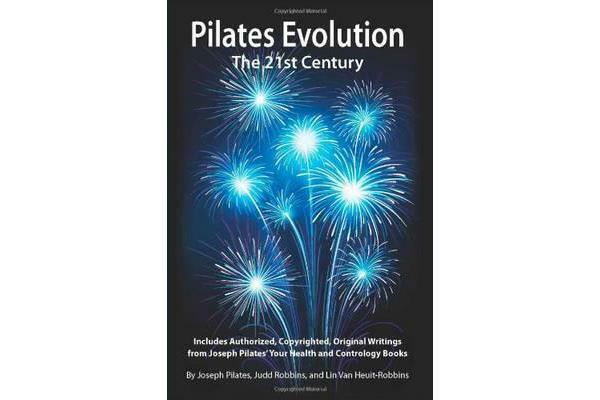 Presentation Dynamics has now added 96 new pages of content to this book with the release of Pilates Evolution for the 21st Century. It details the very latest in 21st-century modifications, methodology, and enhancements to Joseph Pilates exercises. The new text opens with an introduction to 21st-century evolutionary developments, discussing how Pilates original students became the next generation of teachers. It also describes how these students have, in fact, gone on to develop a wide range of variations in their teachings, bringing new science and techniques to new variations in body positioning, balancing, centring, and aligning. In some cases, the teachers use exercise props, and in other cases, this new generation of teachers brings Pilates methodologies from the ground and mat into standing positions. Other variations in instruction blend Pilates principles with dance, yoga, and various sports to make Pilates instruction applicable to a growing number of students and disciplines. This book organises the new Pilates developments into 10 primary chapters, each focusing on a different 21st-century speciality. Each of these new chapters focuses on a different major area of Pilates evolution, such as standing or circular work, sports-specific Pilates, or Pilates exercise variation with individual props. Each chapter introduces the technique, concept, prop, or emphasis, while the chapter ends with a list of resources from companies specialising in training, certification, videos, or books. The remaining pages present new exercises in the same manner that Pilates introduced his exercises a century ago; that is, a photographic sequence tracing the exercise combined with step-by-step instructions for the student. (There are two or more demonstrative exercises in each of the first nine chapters.) Two facing pages include a series of photographs on the right side with step-by-step instructions on the left side. Visual sequencing allows you to use or teach a novel exercise that is both effective and fun. The instructions include explanations of the various aspects of the exercise, along with modifications for less- or more-advanced bodies. Joseph Pilates based his work on the concept of a balanced body and mind and on the approach espoused by the early Greeks. New practitioners of Pilates forms and exercises in the 21st century continue to expand upon this earlier work by presenting a variety of creative new approaches involving circular movements, standing postures, and core strengthening exercises using props such as tubes, weights, poles, bands, magic circles, mini-balls, stability balls, foam rollers, and more. Joseph Pilates has been nothing short of revolutionary in his impact on the world of fitness and exercise. You will learn in this book his original observations and conclusions about peoples approach to physical fitness. He describes the results of decades of scientific study, experimentation, and research into the variety of troubles and ills that upset the balance of body and mind. You will also learn every single one of his original 34 mat exercises taught to his own students. Living testimony to the validity of his own teachings, Joseph Pilates shares in these writings his fundamental tenets of posture, body mechanics, correct breathing, spinal flexibility, physical education, and his law of natural exercises. It is a fascinating look into Pilates original thinking and represents the foundation of an entire discipline embraced by fitness enthusiasts, health educators, and exercise trainers around the world.